Posted by: Ash on October 23rd, 2015, in Guides. Tags: Amazon Rainforest, Ecuador, Lodges, Yasuni National Park. Explore beautiful rainforest filled with wildlife on a luxury Amazon tour in Ecuador. Ecuador contains one of the Amazon’s most incredible sections of rainforest and research in Yasuni National Park reveals one of the world’s highest diversities of animals and plants. This makes Ecuador’s rainforest a great place for nature lovers and adventure travelers to explore this fascinating environment from the comfort of a luxury Amazon cruise vessel or luxury rainforest lodge. As you explore the rainforest with your professional naturalist guide, enjoy finding fascinating species, such as monkeys, colorful birds, fascinating reptiles, and large brightly colored butterflies. 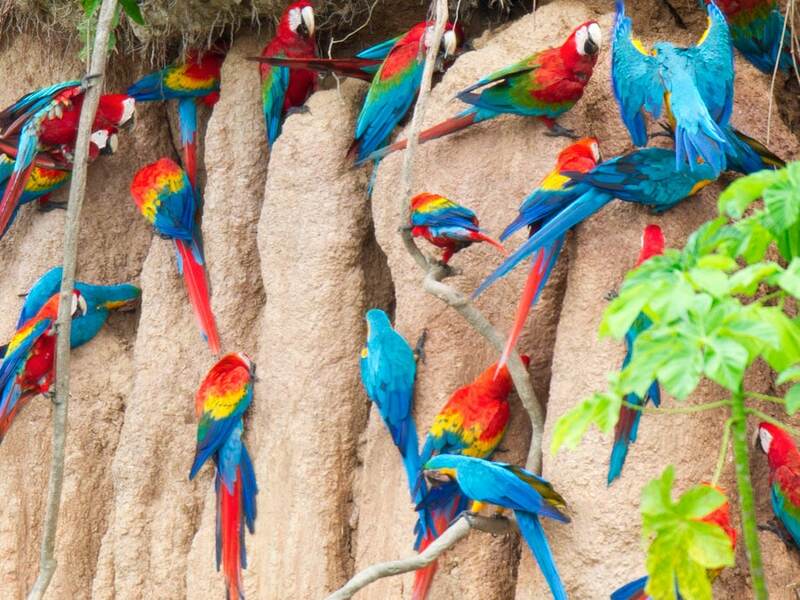 Enjoy a visit to the Yasuni clay lick to see flocks of parrots feeding from the salt-rich and medically important clay and climb the canopy tower for a bird’s eye view of Amazonia. Here we will provide our selection of the top 3 luxury Amazon tours in Ecuador. These include lodges and cruises, which offer two different ways to experience the Amazon. 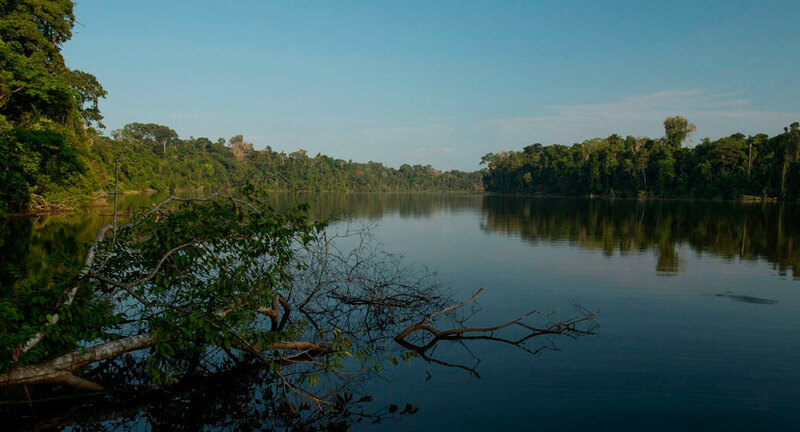 A lodge-based tour lets you get deeper in the rainforest and offers a more immersive Amazon experience to enjoy relaxing of an evening to the sounds of the Amazon. A cruise on the other hand offers a great way to explore the Amazon Rainforest on day and night tours then retire to a more hotel-like, air conditioned and contained environment. 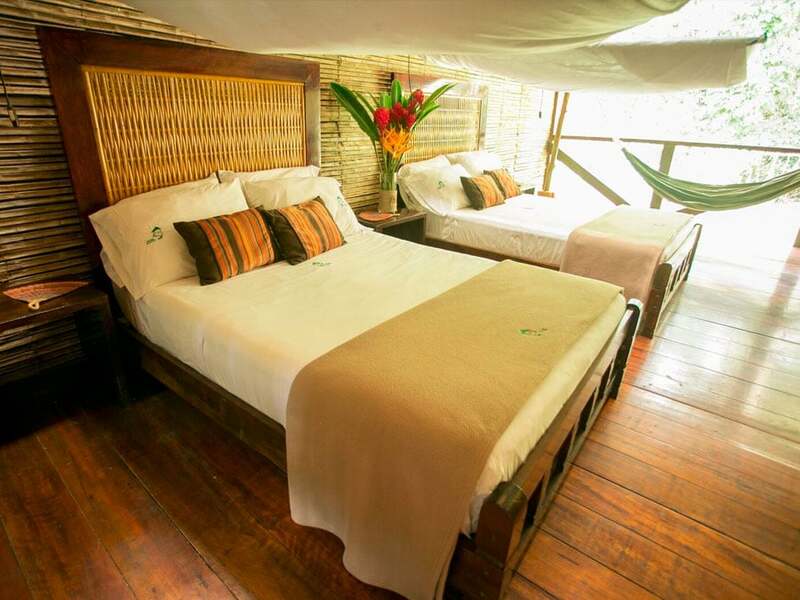 The Napo Wildlife Center offers one of the most comfortable eco lodges in the Amazon, which is complimented with first class service, beautiful views of the rainforest and fantastic wildlife tours into Yasuni National Park. Carefully built and designed by the Añangu indigenous community, Napo Wildlife Center offers a connection with the Amazon Rainforest, while still focusing on privacy and comfort. This community itself has been internationally recognised for its effort in conserving this region of UNESCO recognised rainforest. Composed of 12 standard cabins and 4 luxury suites, your room is decorated with indigenous furnishings and offers a private bathroom with hot water, ventilation, electricity and a balcony with the most incredible views of the jungle and the Añangu Lagoon. Enjoy heading out with your naturalist guide to find animals and plants of the Yasuni National Park. Watch troops of monkeys jumping between the trees, colorful birds perched on the branches, and macaws and toucans flying overhead in their search for the best feeding spots. You will explore the forest on rainforest walks, paddle canoes, motorized canoes, and gaze over the rainforest from the wonderful Napo Wildlife Center canopy tower. Keeping the surrounding delicate environment as the priority, the lodge uses advanced environmentally conscious systems, such as waste processing, solar panels for electricity, and silent generators for minimal disturbance to the rainforest. 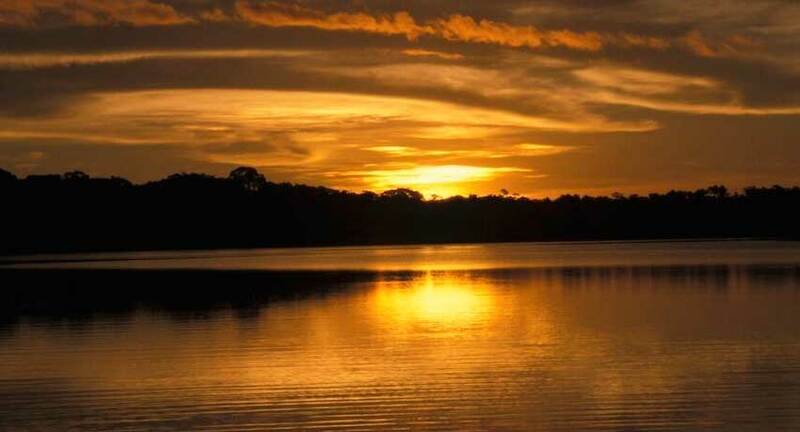 The Anakonda Amazon Cruise offers the only luxury cruise in Ecuador’s Amazon Rainforest. Travel through Ecuador’s Amazon Rainforest and deep into Yasuni National Park to enjoy incredible wildlife in a very comfortable setting. Designed with 18 suites featuring a large and very comfortable bed, a spacious sitting area, large observation deck, an outdoor jacuzzi, and al fresco lounge to enjoy relaxation with a cocktail, the Anakonda offers one of the best options to enjoy the Amazon while returning to a modern hotel-like environment. Explore the Amazon on canoes, kayaking, and forest walks with your naturalist tour leader and travel concierge to find several different Amazon monkeys, such as howler monkeys, capuchins, and saki monkeys, and an abundance of tropical birds. Enjoy visits to the Yasuni clay lick to see colorful parrots feeding from the river clay and see the rainforest from the canopy tower. 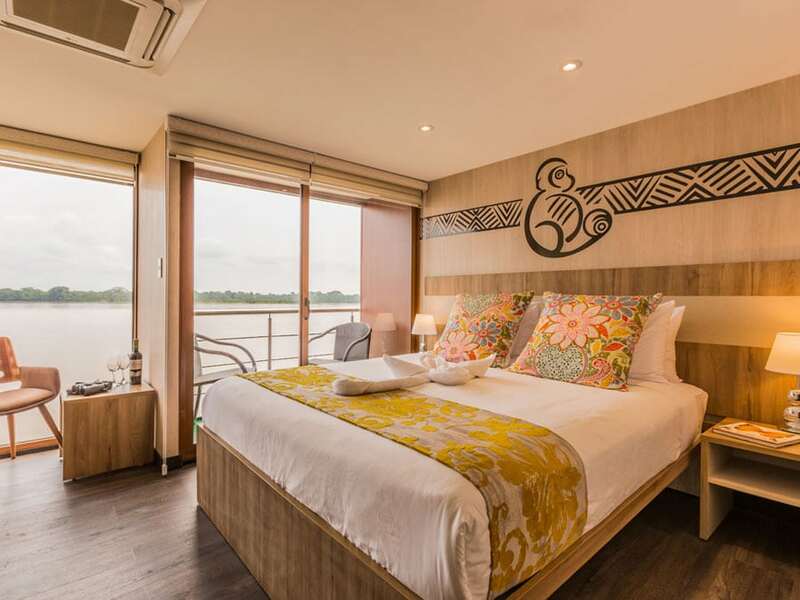 Your room has been fitted with large picture windows and there are panoramic windows throughout the vessel to keep you connected with the Amazon . Your 20 x 20 meter suite provides a private balcony, jacuzzi, and full-frame panoramic windows. The vessel then features a common reading room, a boutique store, a bar-salon, an al fresco lounge, an outdoor Jacuzzi, a solarium, an awe-inspiring observation deck, and a main indoor dining hall. 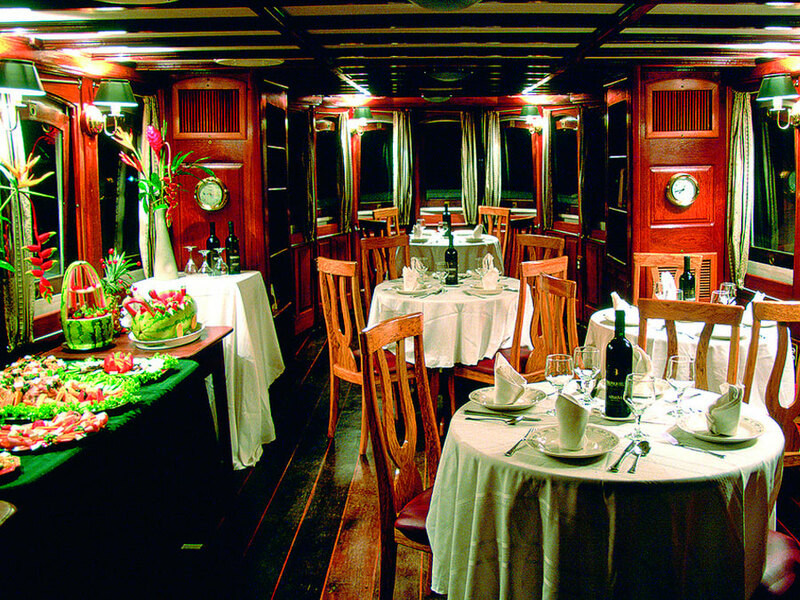 Dining aboard the Anakonda Amazon Cruise is part of the experience where you will enjoy spectacular al fresco dining. Enjoy delicious cuisine, including adventurous Ecuadorian dishes to highlight the diversity of the region and international classics. The award-winning and environmentally certified La Selva Lodge offers one of the most luxurious lodges in the Amazon Rainforest. Located at the border of the highly diverse Yasuni National Park, enjoy exploring the Ecuadorian Amazon to find an incredible variety of animals and plants. Positioned to overlook Lake Garzacocha, a wonderful Amazon lake, you will watch birds and wildlife from the comfort of the lodge. Enjoy sipping a delicious cocktail from the fully stocked bar and overlook the rainforest while enjoying delicious cuisine. The cabanas themselves were inspired by a native bamboo design and many feature tubs, rainforest showers and lake views. Relax in your comfortable bed being soothed to sleep by rainforest sounds. The most popular visit is a 5 day tour from Quito, Ecuador, to enjoy our diverse itinerary for making the most of this incredible environment. English speaking naturalist guides lead you around the rainforest exploring La Selva’s many trails, rivers, lagoons, and wildlife hot spots. The animals you’re likely to see include several different monkeys, such as capuchins, squirrel monkeys, titi monkeys, howler monkeys, and tamarins. 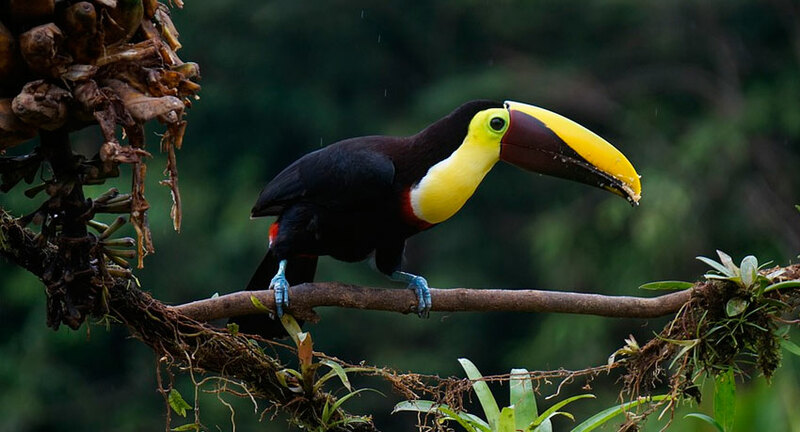 You will also spot a variety of colorful birds like toucans and parrots, and fascinating reptiles. The birds here are incredible and ornithologists have found the region to contain more species than elsewhere in Ecuador and more birds than the USA and Canada combined. 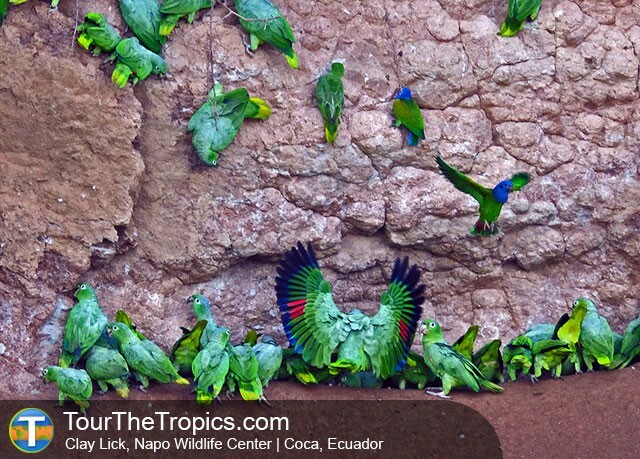 The favorite species include the colorful tanagers, toucans, parakeets, hoatzins, cotingas and many others. For a little more relaxation, you can enjoy La Selva’s new spa to enjoy a variety of treatments and massages. A perfect place to relax, you can treat yourself to truly relax and unwind in the middle of Amazonia. Ecuador is gifted with two of the world’s most incredible natural areas. As an additional luxury experience, you can combine La Selva Lodge with one of their incredible and luxurious Galapagos catamarans. Choose from the many galapagos cruise itineraries of the Cormorant, Ocean Spray, Petrel or the 10 day program designed for those with limited time who still want to make the most of these famous areas loved by nature lovers worldwide.